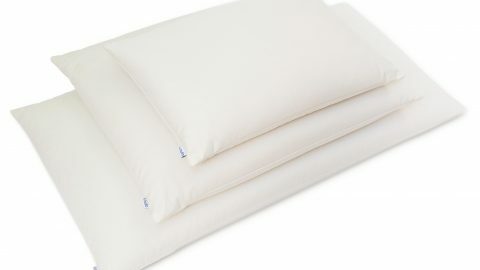 Side sleepers are best using firm, high loft pillows that encourage neutral alignment of your spine. Snoring can be harmless if it’s infrequent and allows for uninterrupted sleep. However, it can result in serious medical conditions like sleep apnea, which in some cases can be life-threatening. Have you ever wondered how to stop snoring naturally without the use of annoying contraptions like mouthpieces or CPAP masks? Loose weight with excesses and diet – the loss of ten pounds or more can make a significant difference. Avoid alcohol, caffeine and heavy meals, especially before bedtime. Avoid sedatives like alcohol -they can relax your throat muscles and increase the frequency of airway obstruction. Diet and exercise? No alcohol? That’s hard! OK we’re not really lazy… we’re mostly hard workers right? Let’s face it, weight loss and diet changes just aren’t very attractive options for most people. The obvious and easy place to make a change is with sleeping position. Snoring occurs when the soft tissue in the back of the throat vibrates with the passage of air during breathing. This effect is most pronounced when you’re on your back thanks to our old friend gravity. Time to roll over! Moving to your side with your head in a neutral position will encourage more free flow of air past the soft tissue reducing or eliminating the issue altogether. Moving to your side can’t be too traumatic right? You didn’t have to spend any time at the gym or change what you eat and drink! For some people it can literally be a pain in the neck. If you’re accustomed to sleeping on your back your whole life, it can take awhile to get used to a new position. A pillow that can offer total support for your neck and head can help to make the transition a little easier (we of course recommend Hullo). It’s not just a comfortable way to ease yourself into the art of side-sleeping, it also can help keep your head positioned in a way that is most optimal for unobstructed, snore-free breathing. Learn more about sleep positions and buckwheat pillows. If you’ve gone to your side and didn’t get the results you wanted, sorry, but it’s probably time to get serious about the weight loss and diet changes. Talk to your doctor before you undertake any drastic measures. Been there done that. Its not the pillow its your sleipeng habits. If your young and healthy you can change your sleipeng habits and get past the problem. If your like me, old and decreped, then your going to have aches and pains irrgardless of how you sleep. Those are going to make you move into an unfavorable position during the night, and then the pain begins. My habit was snuggling my pillow thus keeping tension in my shoulder and neck muscles all night long to the point where my nerves started burning and my arms would fall alseep. I got a medium pillow up against the headboard to give me some clearance, and a softer pillow to use as a rollup for under my head and neck. I’m not as bad as I used to be learning to not snuggle the pillow beause I now have the height and support for my head and neck. 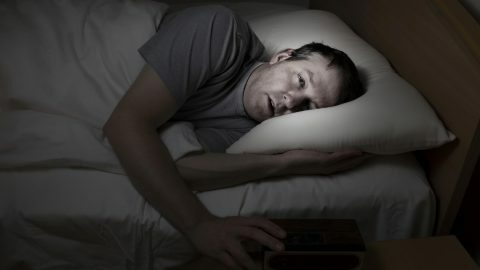 But because of aging and pain associated with being older I get into undesireable positions in my sleep subconsciously trying to get comfortable and occasionally end up in a real bad way, and have to suffer for it a few days. not necessarily, Wan. The exercise techniques can open up the air ways to create better breathing. and with time, those aches and pain will go away regardless of your age. I use to snore a lot but since starting gym, that has cut tremendously and most times none at all. Sleeping on Your Stomach: Make the Most of It! Does That "Cooling Pillow" Really Work? I Tried Four.